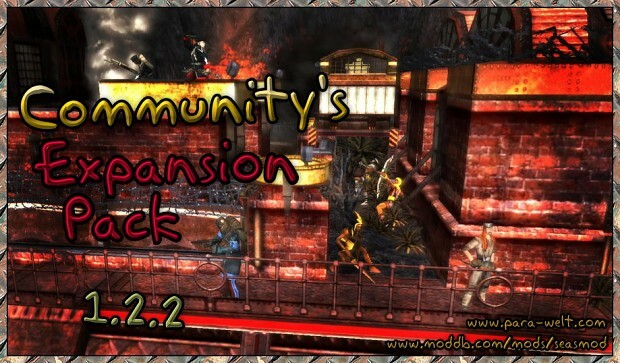 Our Community's Expansion Pack allows you to use S.E.A.S. in ParaWorld. It adds many new features, like new units and buildings! Download it now, for free! Some small maintenance fixes await you here. Download now! Like last time - this patch is finished for months already. Since progress on the CEP ranges from slow to frozen, I think it's the best if we just release this tiny bugfix now. I don't think it has been thoroughly tested - but go ahead and try it out! If you find new bugs, we will fix them. Probably. Years ago, when we were still experimenting with scripting stuff, we made a major mistake - we uncommented a line that should have stayed commented. This caused the passive AI bug. It's now fixed. Oh, and we even taught the AI to use its carrier for fishing! Whenever certain events happen in the game (big animal dies, unit is produced, etc) flash effects are played. These were removed by a so-called "blood patch". We now fixed this (a little bit). A panel will now display a cheat warning in the main menu if cheats are active. And some other small things - mostly irrelevant for you. I can't get this mod to work. What are the requirements? You must run the "cep.exe" then in the menu, you click on "go to the website" or something like that, on the website of the mod it says that you need a boosterpack to run the mod, and it gives you a link for you to download the pack. Donwload it and then you can play the mod. The only problem that I found is that it doesn't work in LAN, because that turns your game in the 1.05 version. I don't know how to correct it.